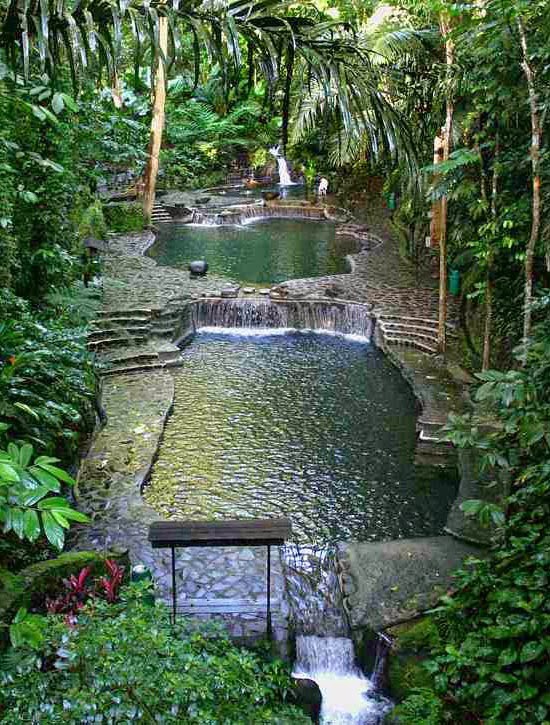 A secluded and private resort, Hidden Valley Springs Resort in Laguna is a tropical rainforest paradise located in Calauan town. Its location is often mistaken in Alaminos, Laguna but it is only the entry point to the resort; its actual location is in Calauan, Laguna. 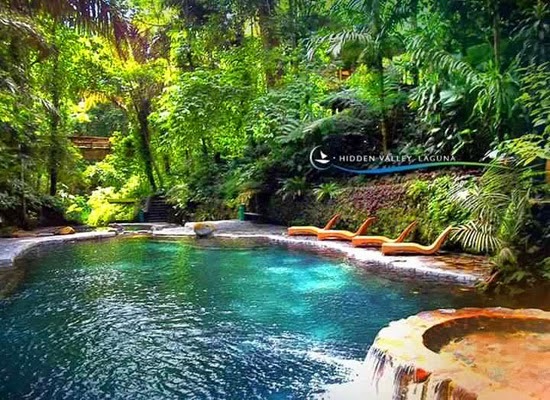 Hidden Valley is between Mount Makiling and Mount Banahaw, known as the origin of these natural springs with varying temperatures and waterfalls. Composing of pure mineral waters, that are said to be medicinal and rejuvenating. 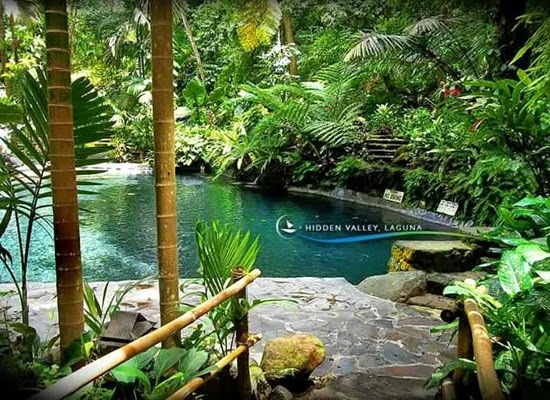 Hidden Valley Springs Resort has irresistible natural thermal pools with tropical plants, giant ferns and century old trees as backdrop. The towering Amlang trees are known to be more than 300 years old, making Hidden Valley Laguna indeed a tropical rainforest paradise.